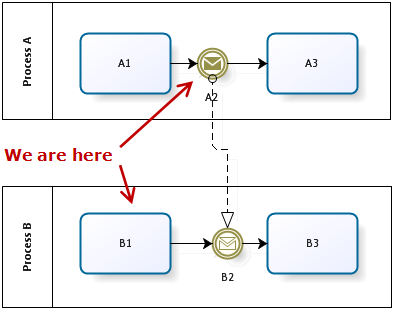 A process A sends BPMN message to a process B. What if A sent the message before B has become ready to receive it, i.e. before a token arrived to B2? Question: how do we show at the diagram that task should be accomplished in 2 hours? BPMN became popular. 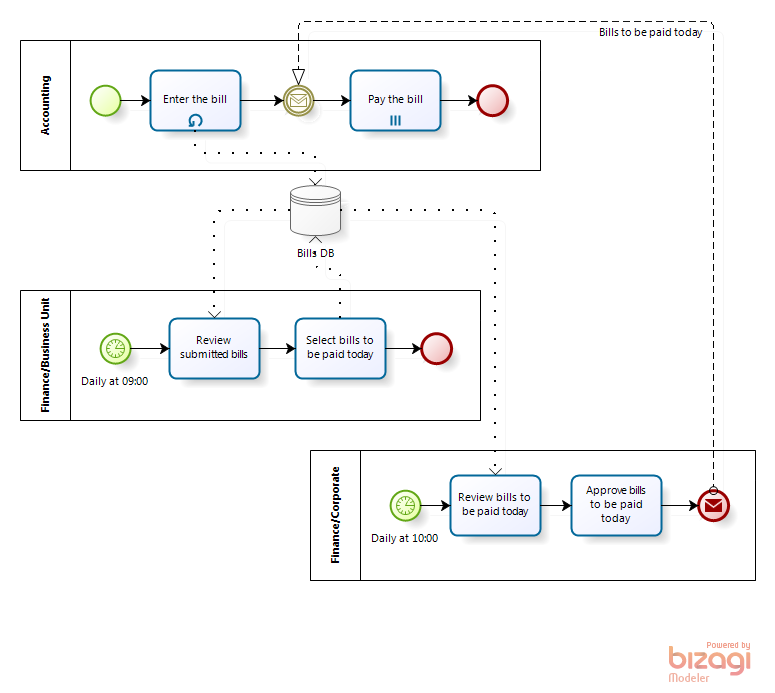 Customers demand BPMN because in their view it’s modern and hence a priori more advanced process notation. But I also understand process specialists experienced in other notations e.g. IDEF or EPC that refuse to follow the fade blindly and ask to explain why BPMN is better. I understand their skepticism - a new notation must be essentially, radically better to justify the transition, not just look nicer. Another Notation or The Notation?